Just like children nowadays kids can become bored very quickly and even thousand of years back into history the Native American children had handcrafted Native American toys. There were definitely not an abundance of Native American toys among the nomadic tribes because they could usually only carry their essentials when they had to move. 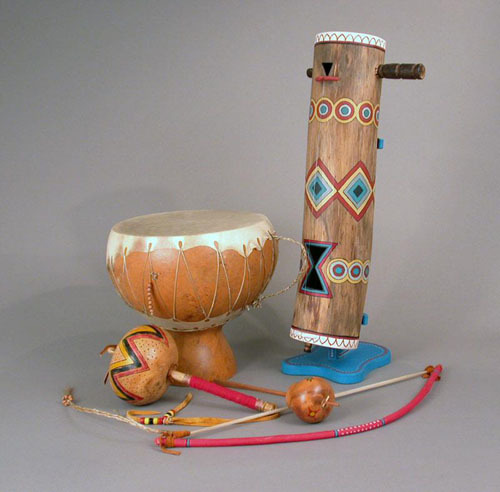 Even though they did not have a lot of toys the Indian children did have some Native American toys. One of the very first toys the Indian children were introduced to were when they were babies still in their cribs. The Indian mothers would sometimes hang strings adorned with things such as beads, teeth from an animal, and even rabbit’s feet, this gave the babies something to do look at and play with while they were still in their cradles. The Native American women would also make dolls out of things like corncobs and stalks and anything else they could find. The girls would then fashion clothing for their dolls while at the same time learning Indian arts like bead working and weaving. The Native American toys of the young boys were usually things like mini bow and arrow sets, slingshots, and fishing spears and equipment. At first these would be made for them by their fathers and then they learned to make their own and started hunting small animals such as rabbits. Many of these Native American toys were meant for fun but there was also a lot of learning involved since many of these things were things they would need to know how to make in the future. The girls learned their weaving and bead making skills while the boys learned hot to craft weapons and use them, and also how to hunt. 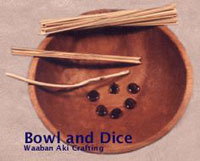 They did have some toys that were just for plain old fun, one of these was a piece of animal sinew that was attached to wood that made handles, then in the middle of the string of sinew was a circular piece of bone, they used to use the handles and get the ring to spin around on the sinew string. They called this a buzzer, or at least that is what this ancient Indian toy is called now.